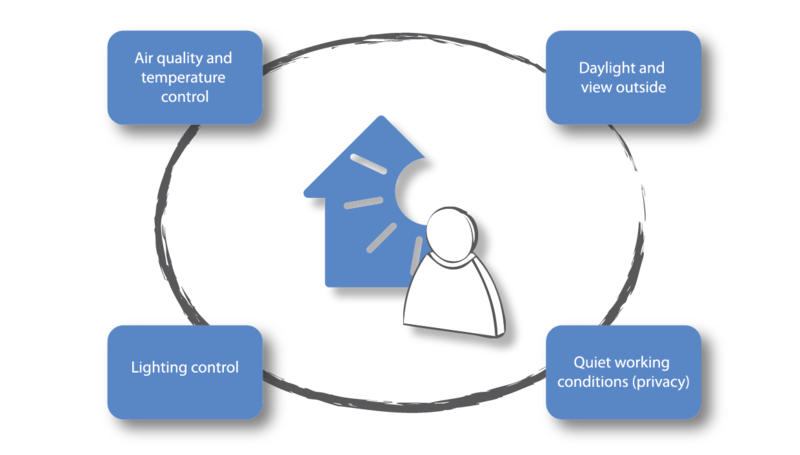 What is Healthy Indoor Environment? Clear-up’s objective is to integrate several innovative technologies to provide a healthy, comfortable and productive indoor environment. That is why the occupants and their perception of the indoor environment stand right in the middle of the Clear-up’s focus. Design and operation of the building has a strong influence on the Indoor Environmental Quality (IEQ) and human responses. This is obviously important to us in our home lives, but also has important implications for employers. The way that occupants feel in the building – their satisfaction with the environment – affects their productivity at work. In Europe, employees’ salaries exceed building energy costs by a factor of 100, so it is clear that reduced energy consumption should not be achieved at the expense of occupants’ health, comfort and performance. A good indoor environment relies on the occupants’ perceptions of a range of factors. Clear-up is investigating ways of optimising energy consumption and the quality of the environment taking all of these into consideration. affects well-being and leads to decreased satisfaction. This results in low work productivity and absenteeism. People who do not feel very well do not work very well. 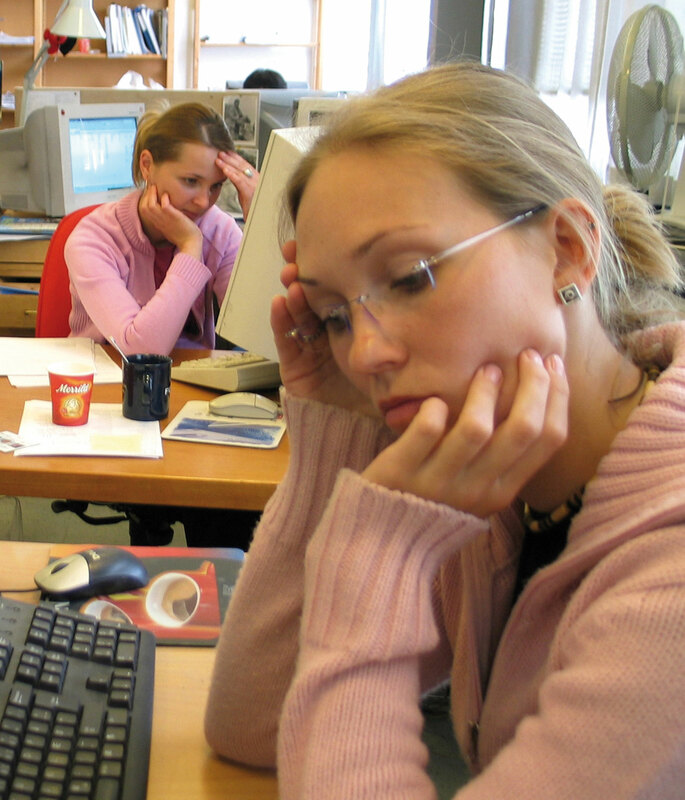 Poor indoor air quality leads to a higher prevalence of headaches and concentration difficulties. Increased concentrations of indoor pollutants result in the irritation of mucous membranes (nose, eyes), odour distraction, allergic reactions or toxicological effects. Thermal discomfort can distract attention, lower arousal and intensify health related symptoms. Clear-up aims to design sustainable climate conditioning concepts, testing them both in the laboratory and in real buildings. The tests include extensive measurements of physical parameters characterizing IEQ (temperature, humidity, concentrations of different pollutants indoors, etc.) as well as the subjective evaluation of the indoor environment by human sensory panels.Research has shown that physical measurements of single parameters do not tell the whole story – often it is their combination that is important. For example relatively high levels of two pollutants might be tolerable individually, but just a small amount of them in combination causes huge irritation. Humidity also has a very strong impact on perceptions of air quality. Using real people to make up sensory panels enables us to explore these complex relationships.The members of the sensory panels indicate their perception of the environment using different scales. Comparison of the results obtained during the subjective evaluation campaign and objectively measured data give deep insights into the relationships between a building, its systems and its occupants.